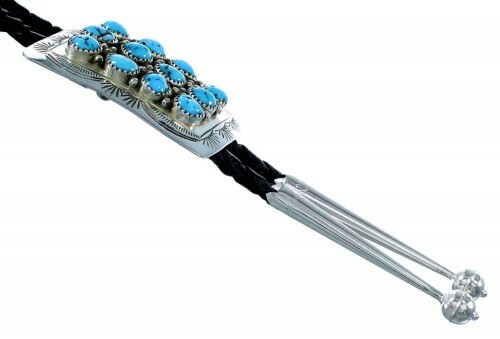 Bolo piece measures approximately 2" long and 1-3/8" wide. The Tips measure approximately 2-1/4" long and 3/8" at widest point. 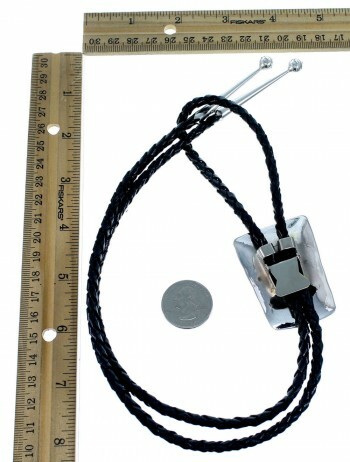 The total measurement of the cord is approximately 37-1/2" long. 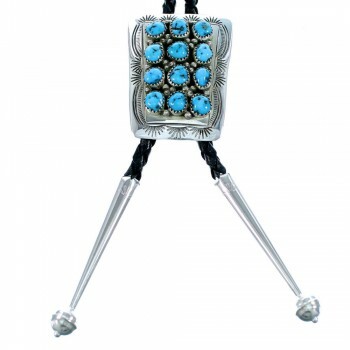 Excellent craftsmanship is shown throughout this amazing bolo tie! This piece of Native American Jewelry is Navajo hand crafted by artist Julie Slinky, out of genuine sterling silver and real Turquoise stones. A total of TWELEVE stones are gently set in hand cut bezel settings, while stamped patterns and mini silver beads highlight for an excellent finish. 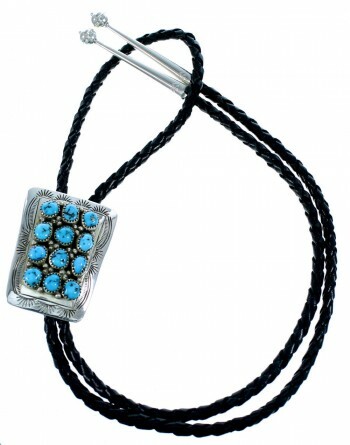 The Tips of the bolo tie are accented with imprinted designs. The bolo piece is stamped sterling and hallmarked.